Finding the right bike saddle shouldn’t be a nightmare. It also shouldn’t be a process that takes weeks and weeks of demoing dozens of different saddles either. If you love one great - we’ll install it on your bike! Our Bicycle Saddle Changer is a game changer! When you come in for a Saddle Fitting at SBR we actually let you sit directly on the saddles you’d like to test. In fact, it’s this ability to sit on different saddles back to back that gives you a real impression of what pressures you like and what pressures you don’t like. This process is great at weeding out saddles that you’ve always wanted to try, but don’t have the time to test out on the road. 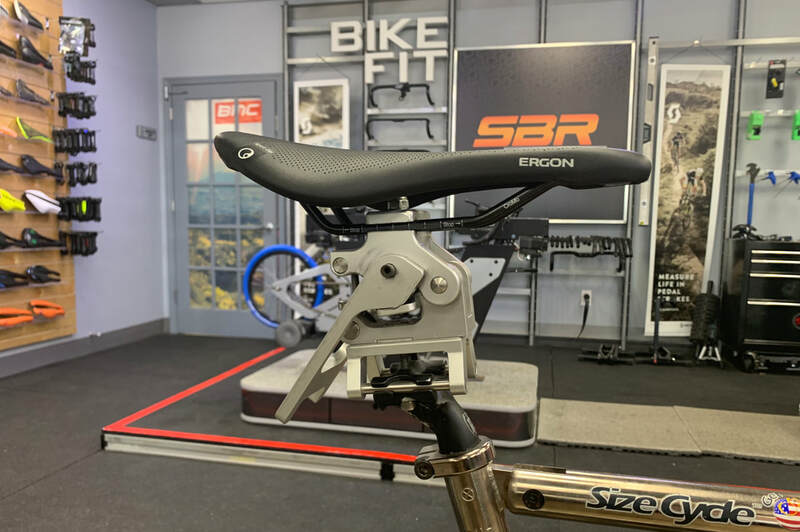 The best part about our Bicycle Saddle Changer is that we can have you sitting on a new saddle in less than 5 seconds!